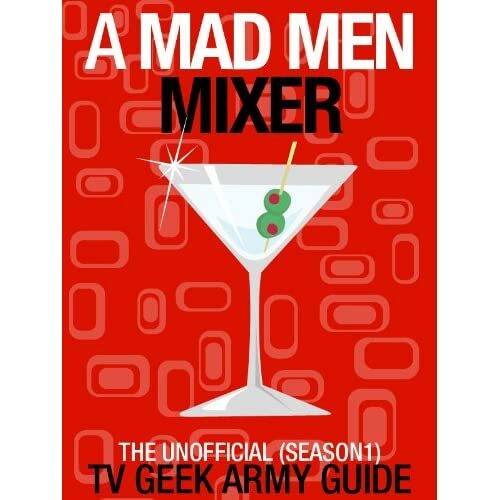 Quick Take: Mad Men, "The Other Woman"
Review: Mad Men, "The Other Woman"
(S0511) Holy cow, was that a great episode or what?! As good as most of this fifth season has been, at times that the show has lacked a narrative through-line. There have been ongoing themes, sure, but the plotting has been somewhat episodic. Well, ladies and gentleman, Matthew Weiner has done it again. In "The Other Woman", not only do the themes of the season come together, but all (or at least most) of the season's stories coalesce into an hour of absolute television perfection. It was a brilliant move from the writers to reintroduce the audience to Joan (Christina Hendricks) and Don's (Jon Hamm) considerable chemistry in last week's episode. Not only was the test-drive stuff exhilarating to watch, it helps to explain why Don would behave the way he does in "The Other Woman." when a pervy but powerful car dealership owner promises Pete (Vincent Kartheiser) that he will ensure that SCDP will win the coveted Jaguar account...under one condition: that Joan -- our beloved, built like a B-52 Joanie -- sleeps with him. And just like that, Joan, one of Mad Men's all-time great characters, is off of the sideline and smack dab in the thick of the action. Ken (Aaron Staton), SCDP's closest approximation of a "good man", assumes that the idea to use Joan's hillsides as leverage for Jaguar is a non-starter. While Pete, the total sleaze-ball, has to take a shot. Pete and Joan's quasi-negotiation is a study in uncomfortable brilliance. "You're talking about prostitution," Joan says. Pete replies, "I'm talking about business on a very high level," as if there were a difference. Whether it's due to his history with the notion of prostitution or his personal feelings for Joan, Don is the only person in the office who is dead-set against the whole charade. The whole process of hooking Joan up with the dealership creep seems to happen in hyper-speed. From Pete's initial offer, to the partners meeting that ensues, to Lane's (Jared Harris) sweet (yet entirely self-serving) advice that she ask to be made a partner, to Don's protestations, all the way through dealership guy's night of carnal pleasure flies by before the viewer can fully process what he or she is seeing. In a blink of an eye, SCDP goes from the brink of disaster to the penthouse suite and Joan goes from being a struggling single mother to being a major stakeholder in a thriving ad agency. And in that same blink, Peggy (Elisabeth Moss) goes from SCDP workhorse to Cutler Gleason and Chaough employee. There was so much to digest in "The Other Woman", that Peggy's entirely understandable decision to part ways with Don and the firm kind of just crept up on me. Yes, Peggy was moping around the margins of the episode, saving the Chavelier account and having dollar bills thrown in her face by Don. But this was a Joan episode-- the Peggy stuff felt inconsequential...until it wasn't. After a meeting with Freddy Rumsen (Joel Murray), Peggy decides that the only way to advance in her career is move on from Don. So, she takes a job with Cutler Gleason and Chaough and breaks the news to her boss. As heartbreaking as the scene with Joan "taking one for the team" is, it's nothing compared to the emotional shot to the solar-plexus that is watching Peggy quit. Of all of the characters on this show, Peggy is the one whose journey and growth we've tracked the most closely, and to have her gone, maybe forever, is a serious blow. Obviously, it's the smart play to leave SCDP, especially after Don treats her like a Magic City stripper and makes it rain all over her face. But that doesn't make it any easier to watch our heroine go. Don's ultimate reaction -- gently kissing her outstretched hand -- was genuine and appropriate, as was Peggy's private moment of triumph at the elevator on her way out of the building. There are a million other facets of "The Other Woman" that deserve discussion (that's what the comment section is for! ), like Don's treatment of Megan (Jessica Pare), Pete's desire for a Manhattan love-nest, and Ginsburg's (Ben Feldman) spark of copy-writing genius. But I only have so much time -- I've got a wedding to attend this afternoon -- so I'll bring up one last point before I jump. One of the most impressive tricks Matt Weiner and the Mad Men writers have pulled off throughout this show's great run is putting a veneer of classiness over an inherently sleazy industry: advertising. Ad men spend all day selling false promises, manufactured love and emotion. But since Mad Men is set in a 1960s world populated by dapper and beautiful people, we tend to overlook this. It's easy to forget how sleazy advertising is when our hero, Don, is simply above it all. "The Other Woman" shines a spotlight on the industry's grossness and makes the case that all of these people are prostitutes in one way or another.